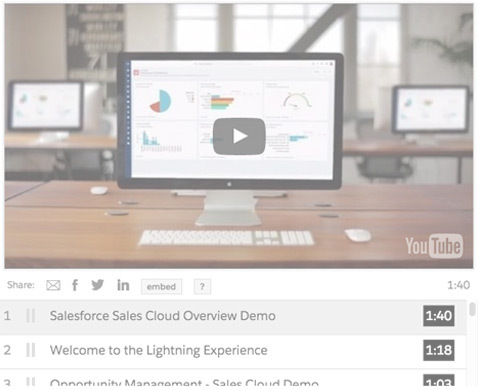 Watch the Sales Cloud Lightning demo. *Offer available only for new Sales Cloud customers in the US and Canada. Offer ends 08/31/2016 and subject to change without notice. Restrictions apply.